What do you find when you clean up the river bank? Well, you find a lot of garbage – and most of it is plastic. Over 25 people joined in a river bank clean-up organized by Plastic Smart Saskatoon* on May 26. 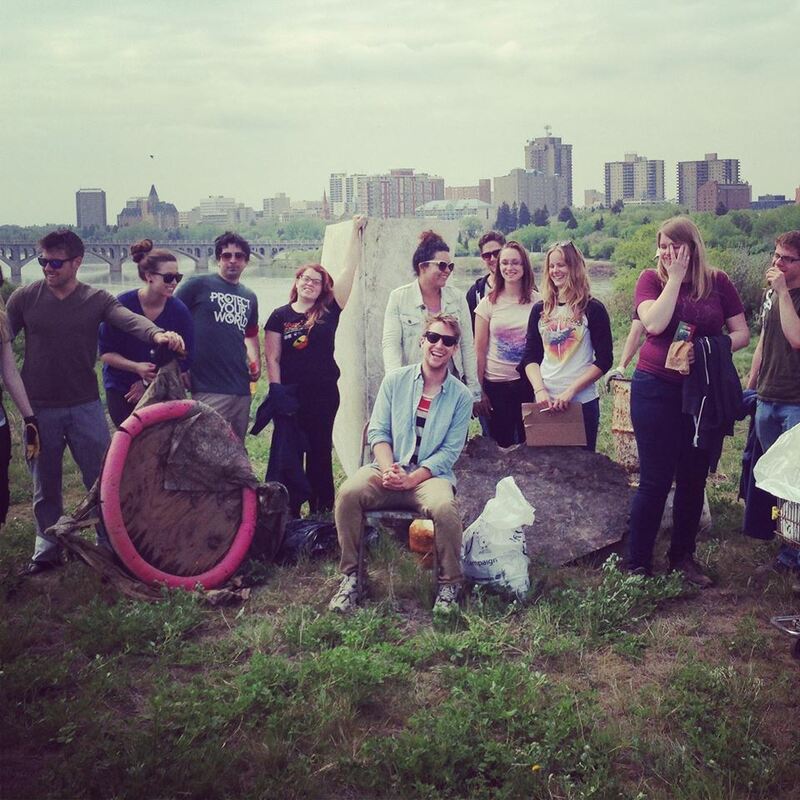 The volunteers collected over 700 pieces of trash and 85% of it was plastic. 22% of the plastic collected was Styrofoam chunks; 21% was food wrappers; 10% was cups and cutlery; and 12% was bags. * Plastic Smart Saskatoon received an EcoFriendly Action Grant in April 2013. Los Angeles is on the verge of becoming the biggest city in the United States to ban single-use plastic bags. Over 100,000 marine mammals and one million seabirds die each year from ingesting or becoming entangled in plastic. A 19-year-old student has developed plans for a tool that could remove over 7 million tons of plastic waste from the world’s oceans.